In the cadet schools can be credited not only boys but also girls with good health and proper physical training. But the main thing – the desire to learn in this specialized school. Find out if in your area the cadet schools of the mixed type, that is, those that can do and boys and girls. Find out which mode of learning in these institutions and think whether you will give your daughter (sister, granddaughter) in the cadet school, organized by type of school. Talk to your girl whether she wants to study in the school and find out that it is the chief, if she, say, committed in the school-internat. Maybe she just needs daily communication with parents and friends, or she just wants a change of scenery. Remind her once again that students of these schools have very stringent disciplinary requirements. Gather information about interests you and your girl the school by visiting the appropriate website or by contacting the admissions office of the institution. Usually advantages in applying to these schools have only children-orphans and children of soldiers killed while performing official duties or in "hot spots." Prepare for submission to the admissions office cadet school documents for admission in 1st class:- certified copy of birth certificate;- medical card (with the conclusion of the WCC that the girl can learn in such a place);- medical insurance;- a certificate from the institution OPTIONS (groups, sections), if your girl did there;- diplomas and certificates (if any);- a certified copy of the passport of one of parents;- certified copies of documents showing the status of the family (for military personnel);- 3 photos 3?4.Muscovites and residents of Moscow region will need to provide a extract from the house register in confirmation that the child has registration at the place of residence in these regions. Your little girl will be enrolled in the 1st class of the cadet schools, after the interview with the teacher, and psychologist. If a girl will go to cadet school already at 5-11 classes, she will have to go and interview in mathematics and Russian language, to pass examination in physical training (running 1000 and 30 m, long jump, hanging on the crossbeam, Shuttle run) and get a positive conclusion from the psycho-pedagogical Commission of the school. Many boys think in order to connect his life with the armed forces. Admission to a military school after grade 9 that serious step, which will help in the future when applying to military school. First, one must decide what kind of institution to do to continue further study. 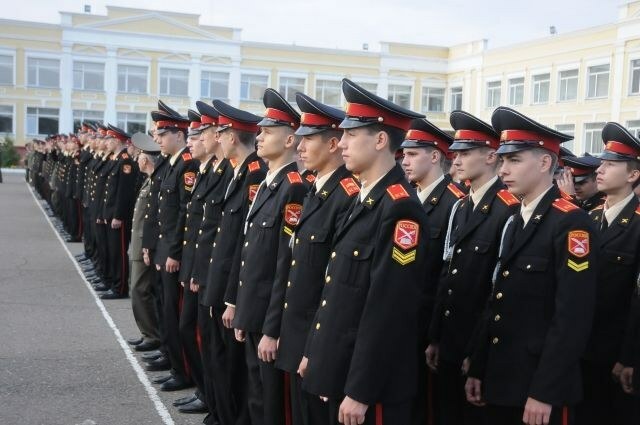 To become a cadet in the cadet corps, which is in every region of the country, but you can try to enter, for example, in the Suvorov military school that much more prestigious. Deciding on a place of education, it's time to find out what the admission requirements and what documents are required for consideration of candidature. In the list of required documents includes a completed application from the applicant to place and from his parents. If the young person is an orphan, a certificate of death of parents. Also requires psychological feature and characteristic of student status, copy of birth certificate, curriculum vitae, a copy of the insurance policy. A list of required documents may differ depending on the institution. You should go either on open day or visit the official website online. There you will find all the information you need. When applying pay special attention to the progress of the child at the last place of study, participation in sports, service, discharges subject to availability. This will give a plus in the consideration of candidates. Therefore, always request an academic transcript from the log of the last educational institution. Competition for a place in such institutions can reach 150-200 people in place and, therefore, evaluation needs to be very good, as the results of entrance examinations. In preparation for admission should spend time on extra classes in mathematics, Russian, physics and other subjects that will be on exams. Today with the obligatory exams after the 11th grade all cadet facilities are not made to go to military school. Their task is to prepare the cadet for exams, to improve their physical shape and to show what the armed forces of the Russian Federation. After 2 years in this place, everyone will know exactly whether he wishes to obtain the rank of officer and continue to serve. Training facility for cadets takes place away from home, ie young people are living in barracks in conditions of strict discipline. All pupils are in public care and education is completely free, it explains the number of people willing to continue learning it here. The cadet corps of the Imperial era under any pretext did not take on the education of girls, it was assigned to the boarding and day schools. Soviet reality equalized and all, but because of the revived cadet schools and colleges are increasingly young ladies. Cadet training is carried out in three directions: implementation of the educational process, educational process and organization of life. These basic components are closely interwoven with the military theme. Military training is held under the guidance of the officers. A deep study of military history and traditions of the state is accompanied by the wearing of a military uniform and certain rules of etiquette, and statutory relations. All of the above components of military education seem not very natural for girls. Besides teachers and officers, organizing the educational process, mainly take into account the interests of boys, that is, create optimal conditions for the disclosure of their abilities based on their masculinity and paralioi activities. Girls come to study in the cadet corps at the age of 10 years and taught there until 17. In case girls are six days a week, and the output is carried out at home. The daily routine is strict, adjustments are made rarely. Working day starts to rise at 7 o'clock in the morning, then organized Breakfast and traditional lessons, according to the school curriculum, much attention is paid to physical culture. After school – lunch, then are interests. Girls have the opportunity to do crafts or ballroom dancing. Optionally, you can learn the basics of medicine and ethics. In the evening girls are preparing for the next school day, consult with teachers in the subjects. The process of teaching subjects in the cadet corps is fully consistent with the school curriculum. However, some subjects are studied in greater depth. So, lessons for ladies include the study of two main sections. It's fashion and Economics. Moreover, the Economics are not just attained on a theoretical level: it is the responsibility of the students imputed duty, during which they lay tables for Breakfast, lunch, dinner. The girls clean themselves in the classrooms, bedrooms, MOP the floors. In addition to the classroom work future mistress learned the basics of cooking, learning how to distribute the family budget, to design the interior of the house and even to grow plants. 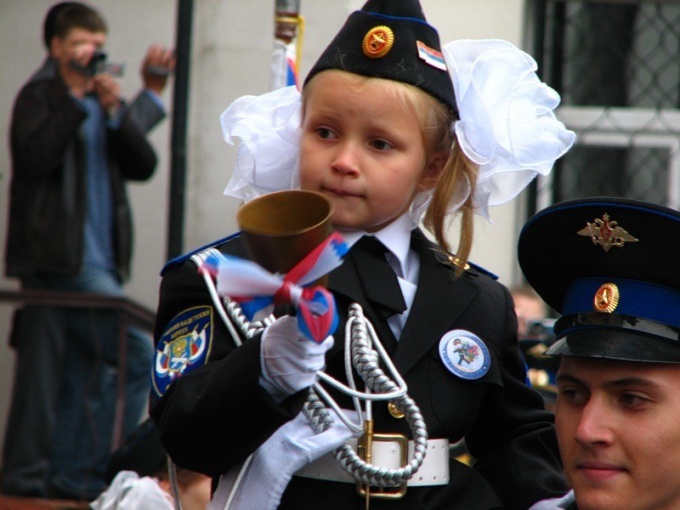 Pupils of the cadet corps – a fully developed personality. They know how to dance, paint, weave beads and more. To do this, the teachers make every effort and organize diverse study circles work. You should not consider cadet corps strict regime institution. About things girls do not give to forget. Regularly held balls, which invited the cadets-young men from the neighboring buildings. Meetings. themed evenings invite interesting people, there is active research.